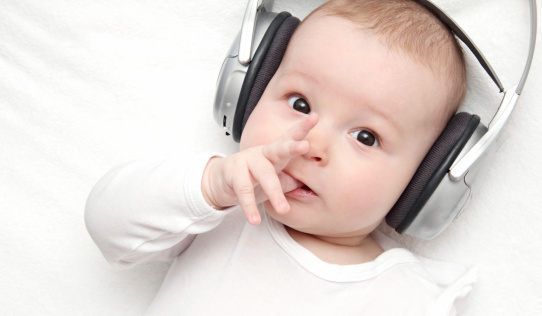 A good bedtime soundtrack should start with one or two songs that have ear-catching melodies or lyrics to engage your baby - but be sure to keep the volume low to encourage quiet. Most infants find soothing female voices calming; later, when your little one is drifting off, play the instrumental tracks. Until your child is old enough to start demanding the likes of Barney or the Wiggles, you can get away with playing tunes that you'll enjoy, too. Lisa Loeb, The Beatles, and Alison Krauss are all pleasing for your ears and your baby's alike. On an instrumental note, this playlist ends with knock-out versions of tried and true classics – Twinkle Twinkle and Brahms' Lullaby (aka "Cradle Song"). You might just fall asleep yourself. Click to sample the songs in this playlist by a mom and former "Parenting" magazine music critic; to make this sleepy-time experience for your baby, just download. Sweet dreams!